Hit and run accidents in California are numerous. According to the California Office of Traffic Safety in 2012, fatal or injury causing hit and run accidents occurred at least 611 times in San Bernardino County. There were 564 fatal or injury causing hit and run accidents in Riverside County for that same year. Los Angeles County witnessed a staggering 5,979 fatal or injury causing accidents in 2012. In these three counties alone the lives of thousands of individuals and families were disrupted, destroyed or ended by hit and run drivers. While these accidents are often not preventable, there are ways to prepare yourself in the event of a hit and run driver. Preparation starts with purchasing a sound auto insurance policy that includes uninsured motorist coverage. These insurance policies do not have to be expensive, yet they are one of the few types of insurance you can purchase to help protect you and your passengers from injuries caused in vehicle accidents by the wrongful acts of uninsured drivers who flee an accident scene. In a hit and run accident case, there are several issues to consider as to whether an injury victim will need to use his or her uninsured motorist insurance coverage. Here are some of the issues to consider in deciding from where your insurance protection will come following a hit and run driver. First, under the circumstances where a license number and vehicle description leads authorities to the fleeing driver and/or vehicle, then an injured person can make a claim against the insurance coverage provided to the hit and run driver. However, there are exceptions to this general statement. Many times, hit and run drivers are fleeing the scene because they are driving a stolen vehicle or they are driving without a license or insurance coverage, or they are severely intoxicated. If a person flees the accident because they are driving a stolen vehicle, the insurance coverage normally afforded to the rightful owner of the car will not pay for the injuries or damage caused by the car thief. These acts are excluded under the insurance policy and are thus caused by an uninsured motorist. As a result, even if there was insurance coverage for the vehicle, the car is actually deemed uninsured for purposes of making a claim against that insurance carrier. Obviously, if the hit and run driver does not have insurance coverage, there will be no insurance coverage available for any injury victim from the at fault driver. Under any circumstance where there is no insurance coverage or not enough insurance, an injury victim can turn to his or her uninsured motorist coverage as a possible source of recovery, if such coverage was purchased before the accident. A second scenario following a hit and run accident is where the hit and run driver cannot be found following the accident, or the vehicle which caused the accident is uninsured. In this scenario, a hit and run accident victim can possibly turn to recover against his/her uninsured motorist coverage, assuming uninsured motorist coverage was purchased in advance of the accident. To trigger uninsured motorist coverage for a hit and run accident, there are generally two prerequisites. First, the person who caused the accident must be uninsured, or they cannot otherwise be found following the accident. Second, there must be actual contact between the two vehicles thereby causing the accident and injury. This is generally a written requirement of any uninsured motorist policy. For example, if two vehicles collide and the at fault car speeds away unidentified, uninsured motorist coverage would apply. However, if these same two vehicles come close to contacting, but actually do not, yet the injury victim loses control of the car and crashes in reaction to the impending collision, uninsured motorist coverage is generally denied. (The insurance company rules basically indicate that it is better to be hit and crash then avoid the initial impact and thereafter crash. It makes no sense to me, but that is the insurance companies’ general rules.) The injuries may be identical in both accidents, but the outcome is far different in terms of insurance coverage. The are other issues which may also come into play where compensation can be sought following an accident, however, those issues are beyond the scope of this article. If anything should be learned from reading this article, it should be this: Purchase as much uninsured motorist coverage as you can financially afford and is practical for you and your family. This is the only way to make sure you have the right insurance coverage when you need it following a serious hit and run accident. 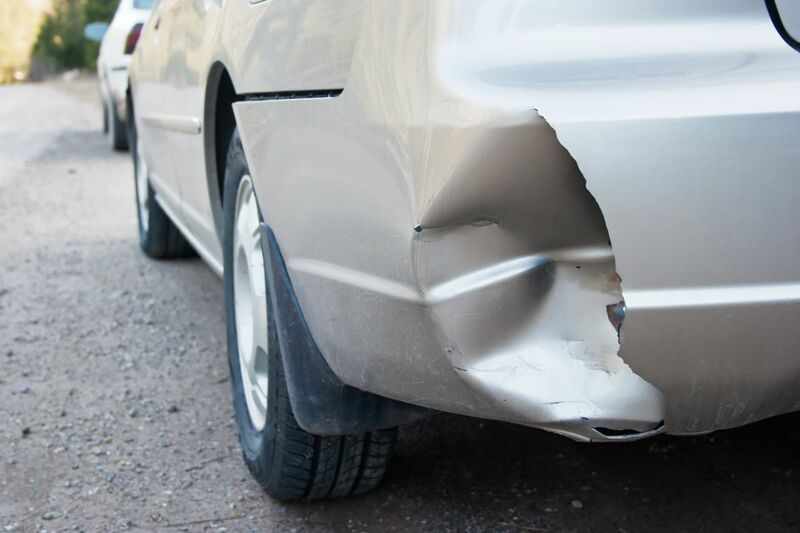 If you have been involved in an accident with a hit and run driver, or any other type of accident, call the Inland Empire Law Group to obtain excellent representation in the complexities of making a proper injury claim. Call now for a no cost initial consultation and evaluation (909) 481-0100.